A scheme to replace Surrey’s night-time orange glow with nearly 90,000 brighter energy-efficient lights is on course to finish almost a year ahead of schedule. Speedy progress has seen more than 75,000 new streetlights installed, meaning one of the country’s biggest roll-outs of smart lamps is due to be completed next April. Contractors Skanska and John Laing’s fast work has seen 11,000 more lights fitted than had been scheduled by this stage in the project to light up Surrey’s roads and pavements with the clarity of brighter beams. 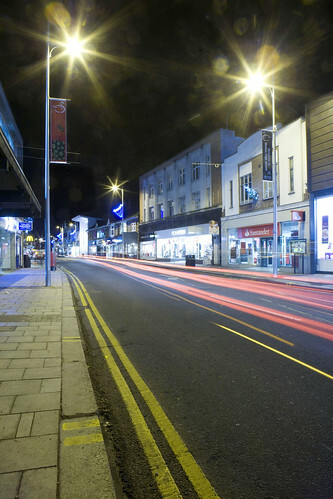 The project saves around £12 million over 25 years through a better contract deal and lower energy bills while cutting light pollution because the new lamps direct light downwards. Each of the 89,000 new lamps can be controlled by computer so lighting can be increased when it is needed and reduced when it is not – for example, as the sun begins to rise in the morning or sets at night at different times of the year. Even with reduced lighting, the new lamps are still clearer than the previous orange glow. John Furey, Surrey County Council’s Cabinet Member for Transport and Environment, said: “Being streets ahead of schedule on such a massive project – one of the biggest of its kind in the country – is brilliant news. “Finishing a year early will be a glowing endorsement of our partnership approach to illuminating Surrey’s night sky with a brighter, whiter energy efficient light and we’ll continue pulling together as one team to make that final push.